Having never been a fan of traditional, old world chardonnays, I usually avoid them completely. On a whim I snagged a bottle of unoaked chardonnay from the grocery shelf one evening and was pleasantly surprised. Later that evening, I even texted my sister and told her I must be turning in our mother…because only mom drinks chardonnay! Since then I’ve been on a unoaked chardonnay kick. When my sister, Kelsey, gave me a bottle of Left Coast’s 2012 Truffle Hill Chardonnay to try I agreed but was wary that I still wouldn’t care for a more traditional chardonnay. Little did I know that this wine blends the best of both worlds; the wine is aged in a combination of oak barrels and stainless steel tanks, blending the old and new world style. On the nose are aromas of green apples and a hint of nectarine — a crispness that was unexpected. Yet, the taste delivered a nice sweet, yellow apple with hints of lingering vanilla. This inviting lush chardonnay is well-balanced, medium-bodied and easy to drink. It was a perfect addition to my summer evening dinner. I continued sipping it even as my boys ran (and crawled) from the table to play in the evening sun. 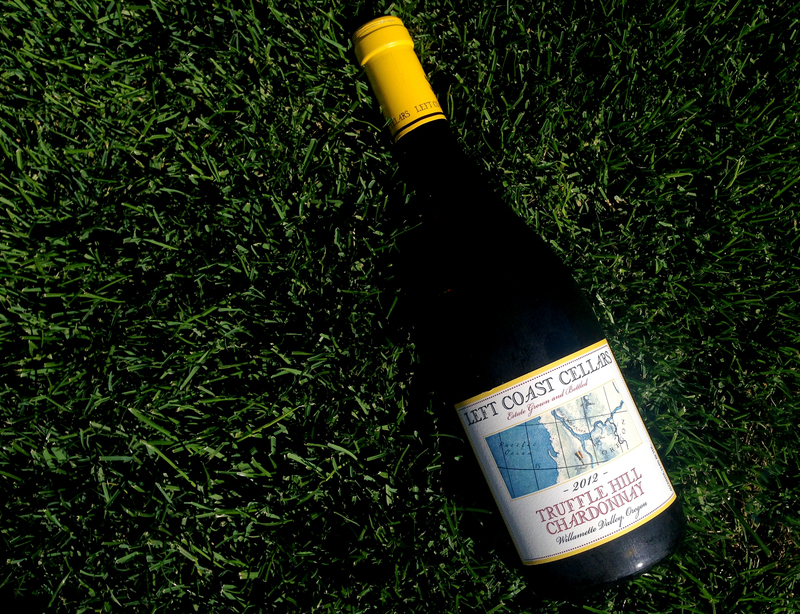 Left Coast Cellars is an all estate vineyard and winery in Oregon’s Willamette Valley, focusing on handcrafted Pinot Noir, Chardonnay, and Pinot Gris. Located south of McMinnville near Rickreall, it’s just a quick hop off highway 99. Producing wine sustainably is a core value and the winery is entirely solar powered.